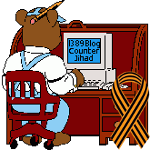 homeschooling — 1389 Blog - Counterjihad! Michigan elementary school confiscates cupcates decorated with tiny toy soldiers – What YOU can do! Education versus indoctrination: It’s one or the other, not both!